(Xining, Qinghai—Aug. 15, 2018) More than 20 official and underground churches in Xining, located in China’s northwestern Qinghai, have been closed this year, interrupting religious life. Wang Ruiqin, the associate secretary-general for the national Three-Self Patriotic Movement (TSPM) and China Christian Council (CCC), wrote a letter to Wang Zuo’an, the director of state’s administration of religious affairs, in which she drew his attention to the 20 shut down churches. Wang Ruiqin also said that such activities were happening in Lanzhou, Gansu. 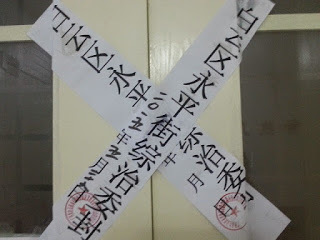 Because she is a religious official, Wang Ruiqin called on the government to quickly approve churches waiting to join the TSPM in order to end the closing of churches, get them registered and under government administration, and legally protect the Christians’ rights to religious belief. While this is being done, she encouraged Wang Zuo’an to develop unregistered churches by urging them to follow official regulations rather than closing and harassing them. However, although churches in China are required to gain government approval in order to be considered legal religious venues, many of them choose not to because of the censorship enforced by the Communist Party. Additionally, official regulations often deny citizens their right to religious freedom in various ways, such as insisting children may not attend churches or hold religious beliefs. In her letter, Wang Ruiqin also advised religious management officials to understand the Communist Party’s policies and learn religions in order to better communicate with church members. ChinaAid exposes abuses, such as those experienced by Christians in Qinghai, in order to stand in solidarity with the persecuted and promote religious freedom, human rights, and rule of law.